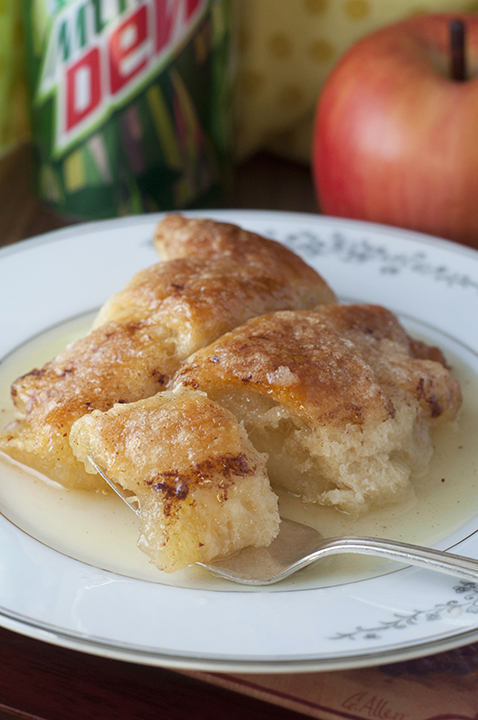 Easy Country Cinnamon Apple Dumplings dessert or breakfast recipe is a classic fall and holiday treat loaded with cinnamon and smothered in a buttery Mountain Dew sauce! 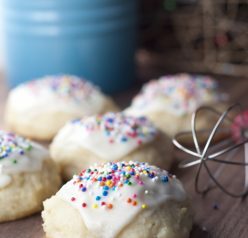 Stretchy pants are a MUST for this recipe today. 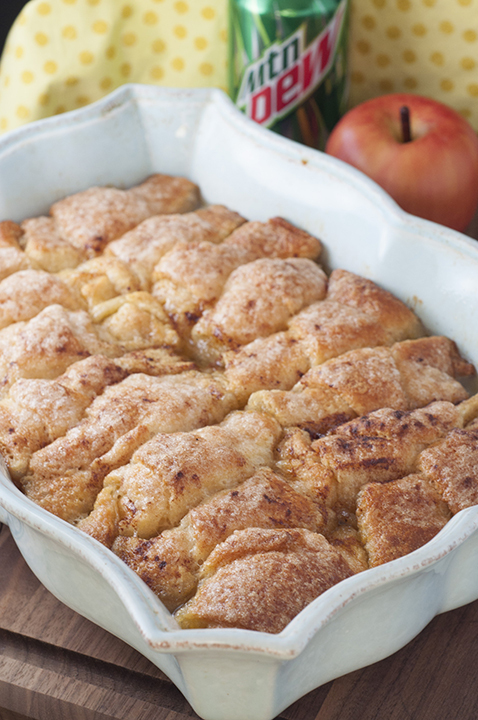 All of the desserts I post here on Wishes and Dishes are pretty indulgent, but these cinnamon apple dumplings might make all the rest look actually kind of healthy. This is not meant to discourage you from making these. 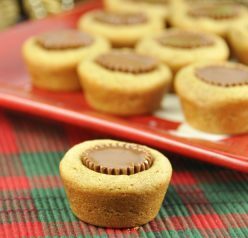 In fact, run to the kitchen right now and make them because they are worth every single calorie. This one may actually be the best fall food recipe I’ve made to date and these absolutely need to happen for Thanksgiving dessert this year. These fancy pants Country Cinnamon Apple Dumplings may look intimidating but I promise you that they are super easy to make. I mean, the dough is simply store-bought crescent rolls (“roll candy” is what I like to call them). Shortcuts are my BFF sometimes when it comes to cooking and baking! Don’t be skeptical of the Mountain Dew in the sauce. The Mountain Dew actually makes the rich, sweet butter glaze just so much better. As if it wasn’t good enough with all that butter?! 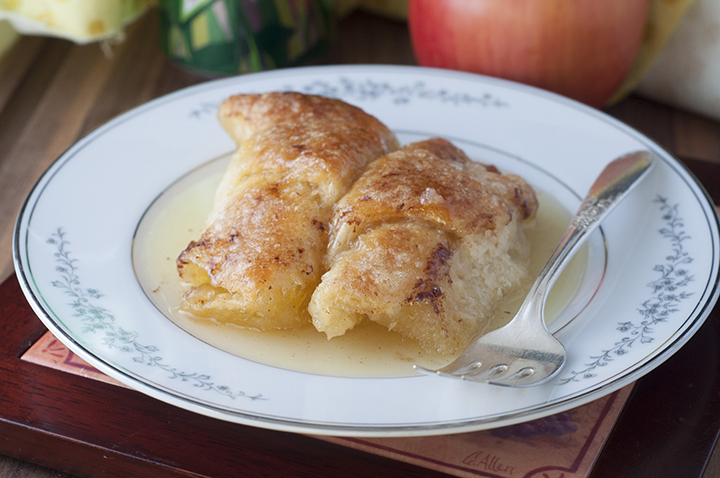 These will be the easiest apple dumplings you ever make and you will be making them a LOT! Here is my “how to” video with step-by-step instructions on how to make these Cinnamon Apple Dumplings! Peel and core apples. Cut each apple into 8 slices. Roll each apple slice up in a crescent roll triangle to make the dumplings (don't worry about sealing the sides or anything). 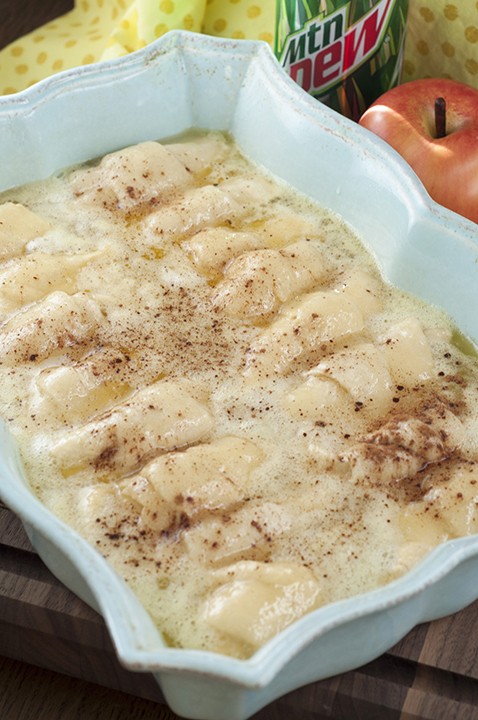 Place dumplings in a 9 x 13 greased/buttered baking dish or casserole dish. Melt butter on medium/low heat, then add sugar and barely stir. Add vanilla, stir until incorporated, and evenly pour entire mixture over apple dumplings. 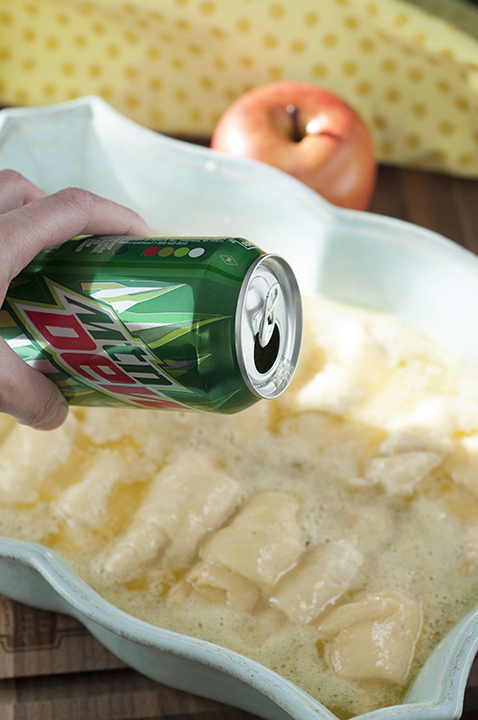 Pour Mountain Dew around the edges/perimeter of the pan. It will look like a lot of liquid but it's fine. Sprinkle evenly with some cinnamon (don't skimp, but also don't overdue it) and bake at 350 degrees for 40 minutes. Scoop some of the sweet sauce from the pan over the top of the dumplings before serving. Serve them warm. Add a scoop of ice cream on top, if desired. My middle school self would have gone crazy over this! I was a Mountain Dew addict and I can only imagine how sweet and gooey that makes the glaze. Oooh la la! Those look delicious and it never ever would have occurred to me to use Mountain Dew! WHAT?!? I can’t believe you use soda in this! What a great trick! Is there a way to prepare this a head of time? I like the idea of haven’t it for breakfast but can’t ake it all in the morning. hi, looks good ??? ?did you use salted or unsalted butter? I used unsalted! You can really use either, though. I’m confused. The recipe calls for 2 cans if crescent rolls. That’s 16 crescents. 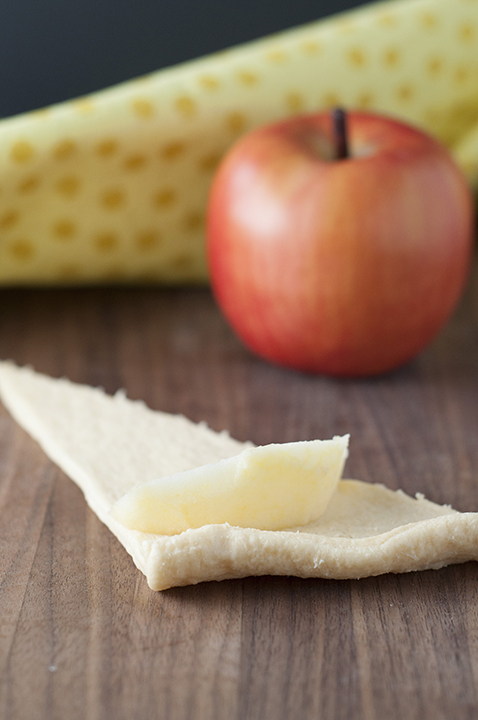 Recipe calls for 8 Apple slices? The directions say cut EACH apple. You need two apples 🙂 Hope that helps! So what happens if you add Fireball? Anyone try it? Can you use diet mountain dew? Could you use Sprite instead Mountain Dew? I really detest Mountain Dew???? Yes you can. Or 7up! 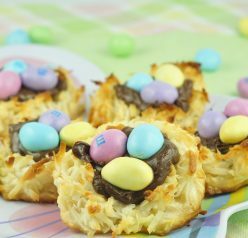 Made these on Thanksgiving for the first time & they were awesome! I’m going to be making them again for my daughters class at school, but I’m having to make them the night before so she can take them with her to school the next morning, my question is, do you need to refrigerate or can you just leave them covered on the counter overnight? I would definitely refrigerate them to keep the dough from getting soggy or too soft! I made this dessert over the weekend. To be so simple and minimal ingredients it was the BEST dessert I have had in a long time. I highly recommend this!! !